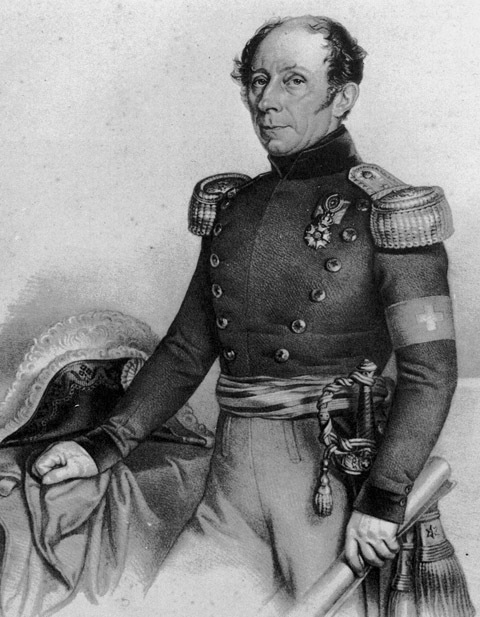 Guillaume-Henri Dufour (15 September 1787, Constance - 14 July 1875, Geneva) was a Swiss general and topographer. He served under Napoleon I and led the Swiss forces to victory against the Sonderbund. He presided over the first Geneva convention which established the International Red Cross. He was the most famous president of the Swiss Federal Office of Topography from 1838 to 1865.